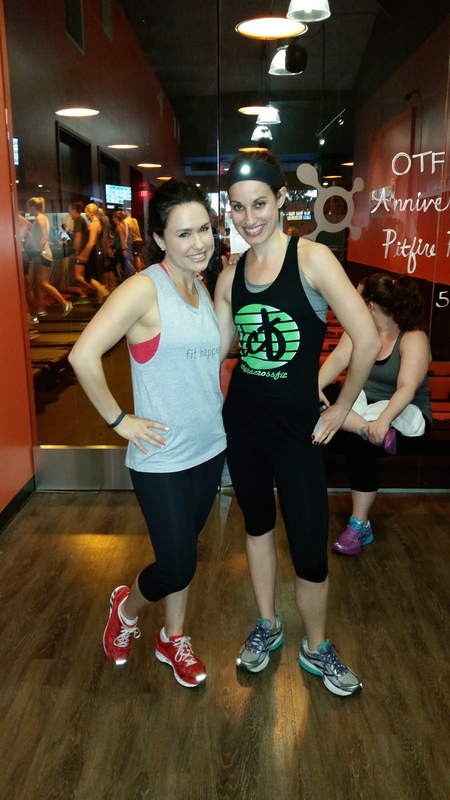 Whenever I’m offered an opportunity to try a new fitness class, my first reaction is “sign me up!” As someone who is a lover of all things fitness, I like stepping out of my comfort zone and trying something different which is exactly what I did when I tried Orangetheory Fitness. 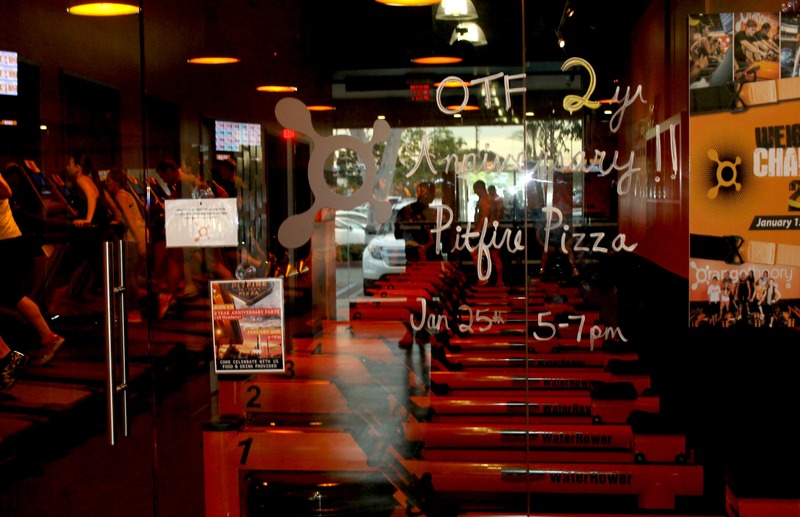 Orangetheory Fitness has been in Orange County for a couple of years now, but I only recently discovered it thanks to the founder and chief fitlosopher of fitlosophy, Angela Mader (full discloure: Angela and I work together on fitlosophy projects). 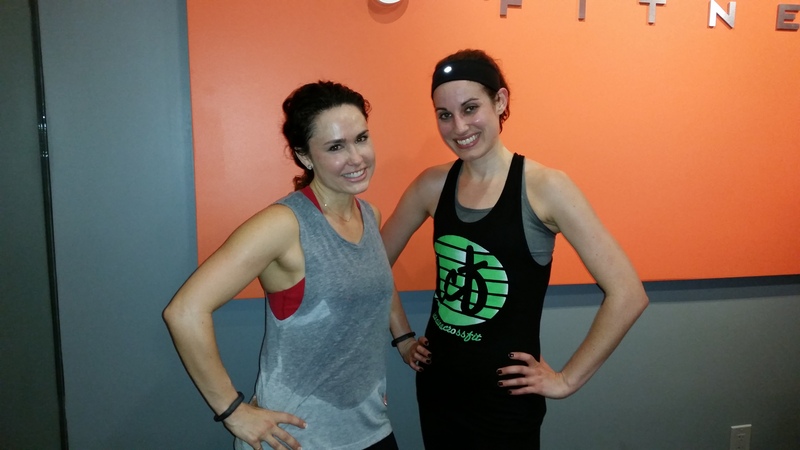 Angela had nothing but rave reviews to say about the class, and since she loves high intensity workouts as much as I do, I knew Orangetheory Fitness was going to be great. The concept behind Orangetheory Fitness is simple: group interval training broken up into treadmill work, indoor rowing and strength exercises all while wearing a heart rate monitor. I haven’t done a lot of training while wearing a heart rate monitor and love that Orangetheory offers this. Your heart rate is tracked on a giant screen during class so you can constantly see what “zone” you are in while you are working out, with the idea of starting out at your “base” pace and them moving into the “push” aka orange/red zone. So let’s talk about the workout. The class is broken up into groups with some people starting on the treadmill and some on the floor/indoor rower. Then throughout the class you switch stations so you’re constantly on the move. I’ll admit I thought at first the treadmill would be a piece of cake since I have run a few half marathons and do interval training on a regular basis but I was wrong. Our first set of treadmill sprints was rolling hills at our “push” pace which included a 4%, 6% and 8% incline on and then back down again. By the time we reached 8% I was a sweaty mess and cursing under my breath. Treadmill inclines + sprinting is no joke! Strength training on the floor was next and it included dumbbell squats, tricep extensions and presses. Oh and more work on the indoor rower before we returned to the treadmill for our next round of treadmill work. By the end of the workout I was a sweaty mess as evidenced below. One of my favorite things about Orangetheory Fitness is that no two classes are the same. I’ve been to a class where we do 25 min of work on the treadmill before switching to strength and I’ve been to a class where the treadmill sprints were fast and furious with strength exercises interspersed in between. The constant variation of the workouts is one of the reasons why I love Orangetheory so much. 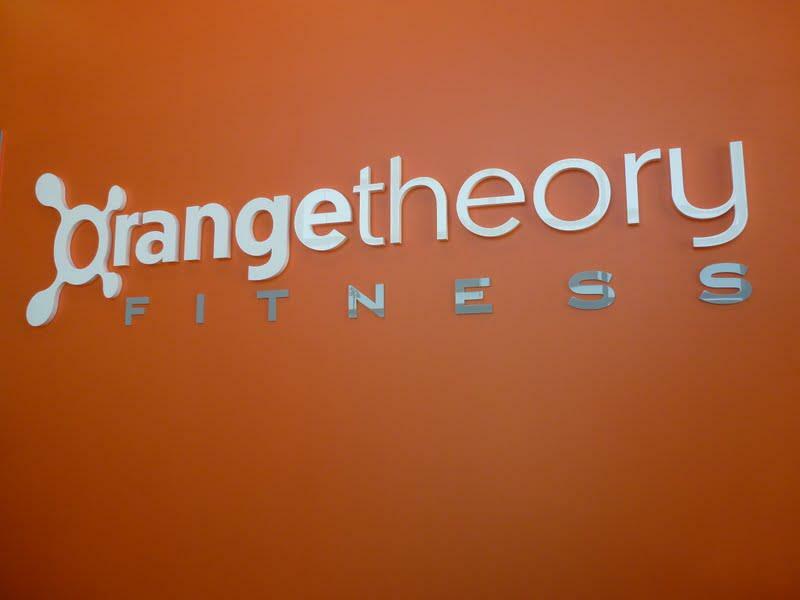 If you are looking to change-up your routine or to just have a great workout, then I highly recommend Orangetheory Fitness. It’s fun, fast, and will definitely whip you into shape. As a runner, I can see how this workout would be hugely beneficial if you are looking to get faster – it’s the perfect way to get some extra speedwork in. Big thanks to Angela for introducing me to Orangetheory Fitness and to the OTF Newport Beach team for offering me some free classes. I’ll definitely be back to get into the orange (and red!) zone. This entry was posted in Uncategorized on February 9, 2015 by allie@sweetpotatobites.